Classical education is based on a three-part process of training the mind. We begin with the School of Grammar where our students spend their day learning important facts through songs, chants, and drills that systematically lay the foundation for their future study. 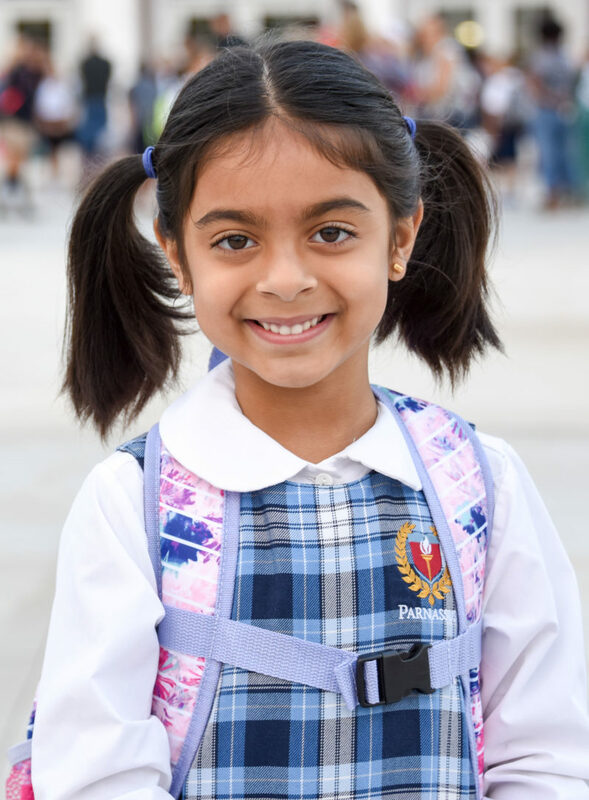 At Parnassus, the School of Grammar begins with Prima (kindergarten) and continues through our Fourth Level of Grammar (Grade 4 in a traditional school). The students then progress to the School of Logic where they learn formal logic and are taught to think through the process of logical arguments. The scholars continue to pursue knowledge in the arts, literature, languages, history, geography, and the sciences. They learn to work collaboratively, express their opinions, and listen to others’ opinions respectfully through the Socratic method of questioning and discussion. Finally, in the School of Rhetoric, the students are ready to express their opinions and support their claims eloquently, intelligently, and respectfully in the Harkness Table discussion method. Parnassus is the first charter school in Minnesota to offer this classical approach to learning. Our young scholars study of history through original sources, literature through complete classic works, and the sciences through intensive investigations and experimentation — focusing on the understanding of the concepts and applied science. Rhetoric is the art of communicating well. Once a student has obtained knowledge of the facts (School of Grammar) and developed the skills necessary to arrange those facts into logical arguments (School of Logic), the student must then develop the skill of communicating those arguments to others (School of Rhetoric).